Solvent-based and water-based are two major technologies. Achieving excellence in providing a great experience to passengers is vital to the modern aerospace industry. Using the right aerospace adhesive can fulfill the ’look-and-feel’ expectation in modern airplane interiors. Hence, solvent-based technology is selected by several major global aircraft manufacturers for use in aircraft interiors, as this technology enables immediate bonding of decorative laminates to all common aerospace background substrates. The report will help market leaders/new entrants in this market by providing them the closest approximations of revenue numbers of the overall aerospace adhesives & sealants market and its subsegments. 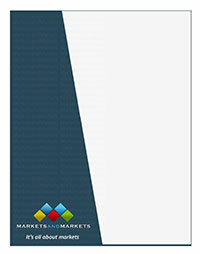 This report will help stakeholders better understand the competitive landscape and gain insights to position their businesses better and make suitable go-to-market strategies. It will also help stakeholders understand the pulse of the market and provide information on key market drivers, restraints, opportunities, and challenges.